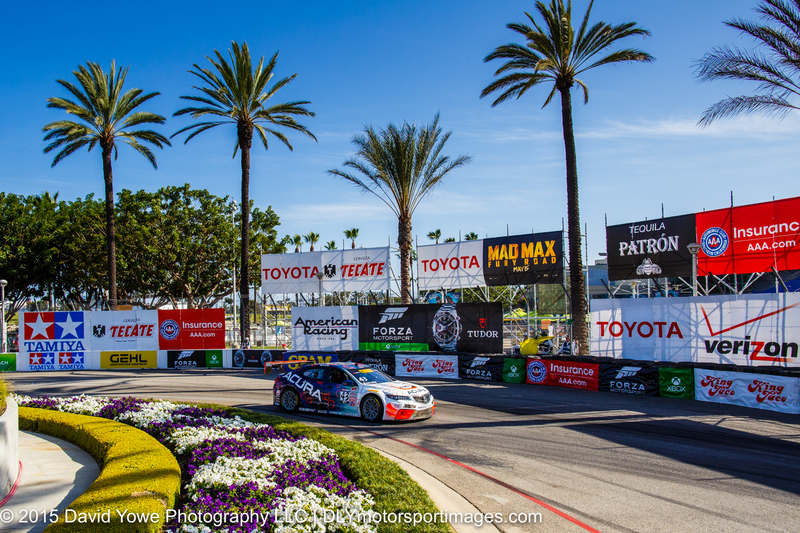 Round 5 of the Pirelli World Challenge (PWC) for the GT/GTA/GT Cup Class was held late Sunday afternoon on the streets of Long Beach, California. 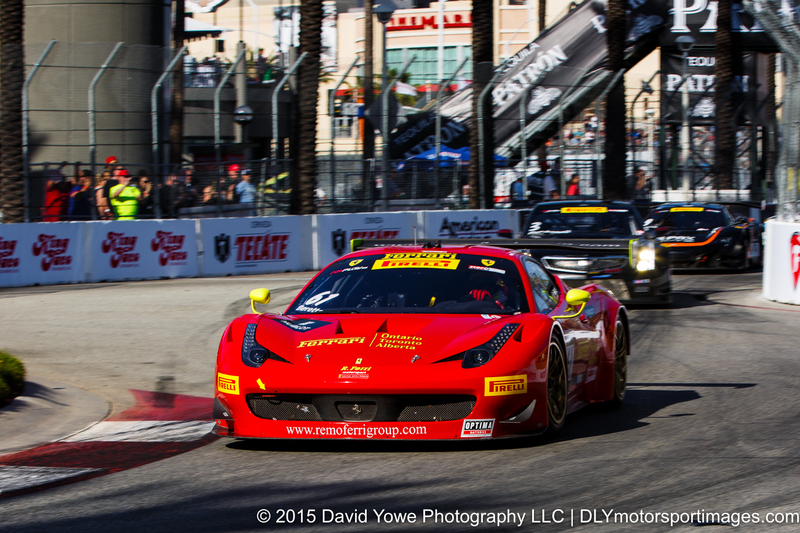 Olivier Beretta in the #61 R. Ferri Motorsport Ferrari 458 GT3 Italia won the GT class. 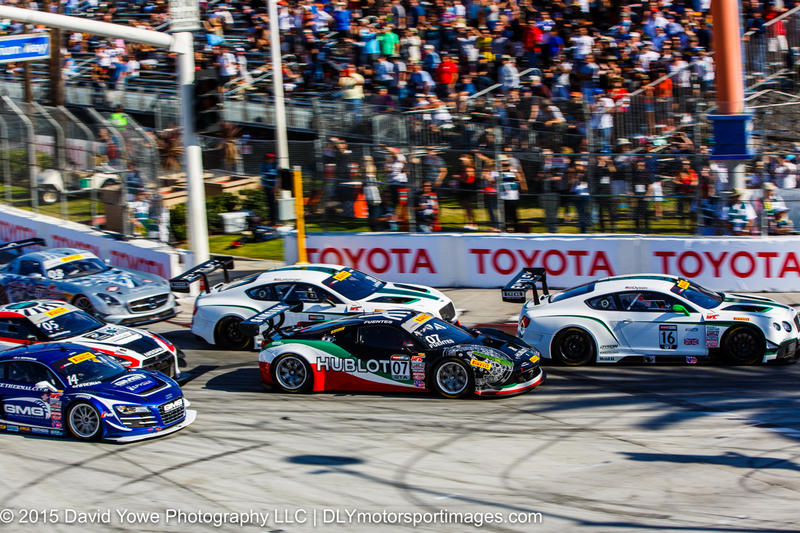 GTA class went to Michael Lewis in the #41 EFFORT Racing Porsche 911 GT3R, and Mitch Landry in the #97 Landry Racing Porsche 991 GT3 Cup took the top GT Cup honors. Hope you like the photos. 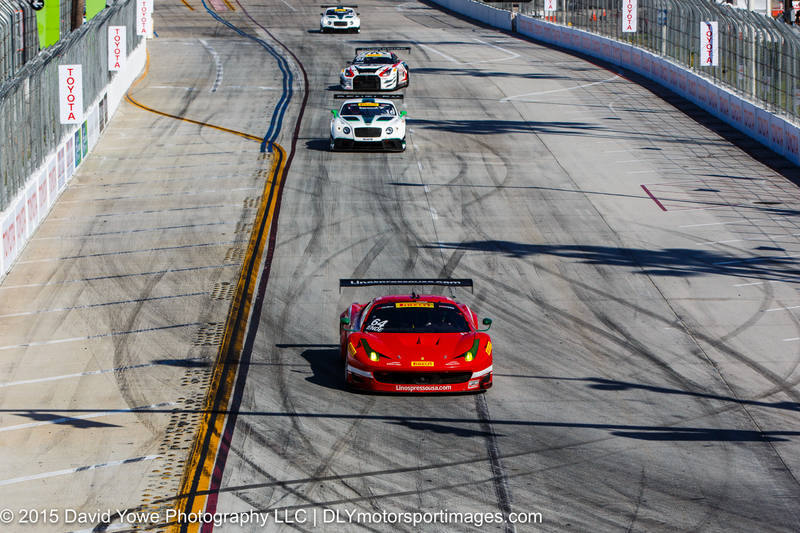 Olivier Beretta in the #61 R. Ferri Motorsport Ferrari 458 GT3 Italia leads the field into Turn 1 at the start of the race. 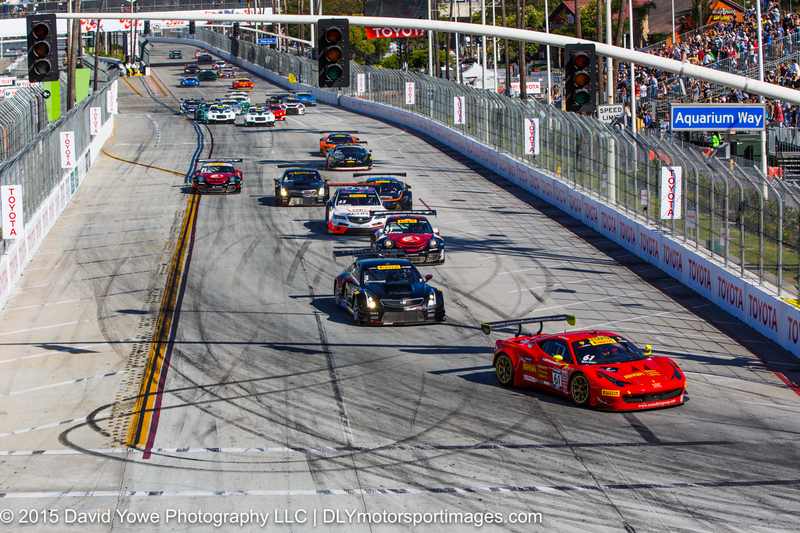 Duncan Ende in the #64 Scuderia Corsa Ferrari 458 Italia leading into Turn 1. 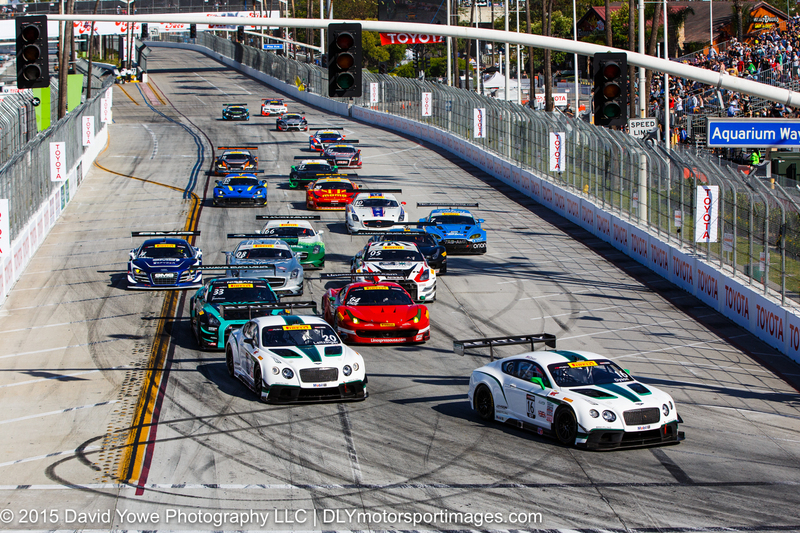 Three wide around Turn 1 after one of the race restarts. 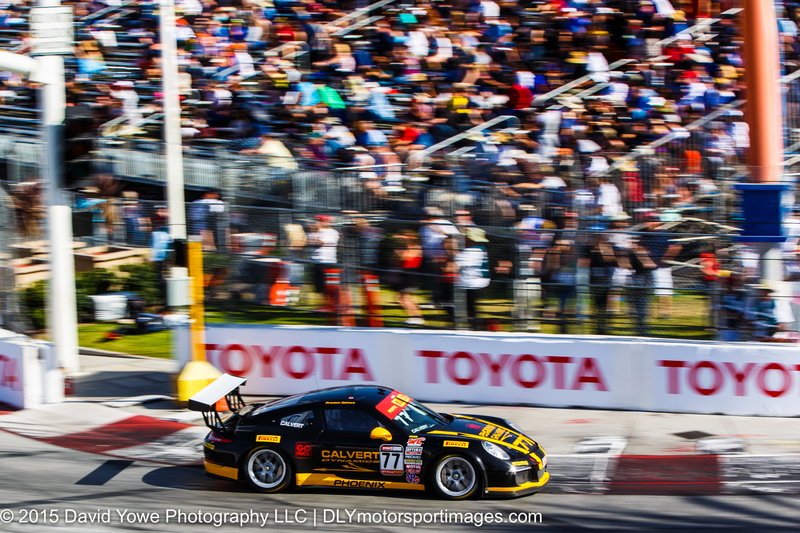 Around Turn 1 with Preston Calvert in the#77 Phoenix American Motorsports Porsche 911 GT3 Cup. 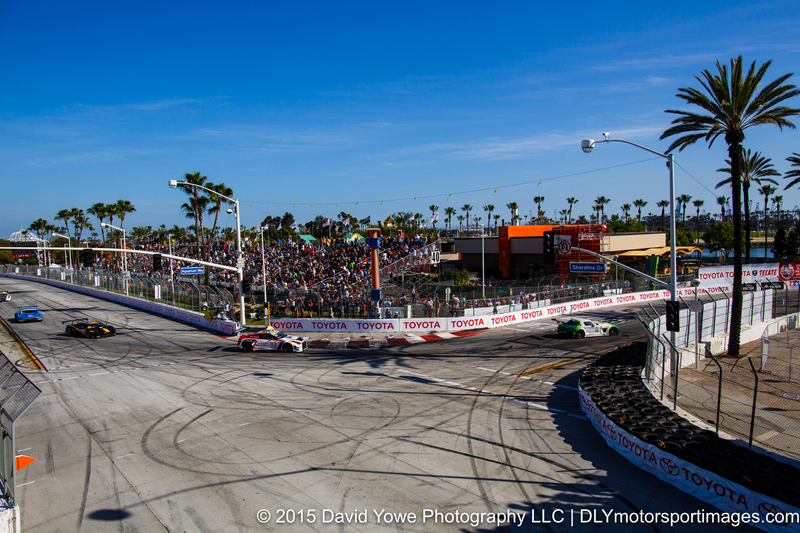 A wide shot of Turn 1. 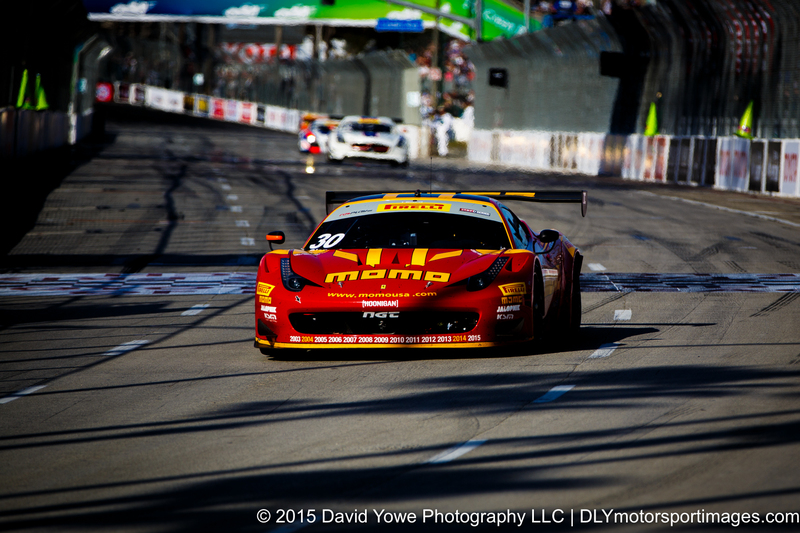 Through Turns 2 to 3 with race winner Olivier Beretta in the #61 R. Ferri Motorsport Ferrari 458 GT3 Italia. 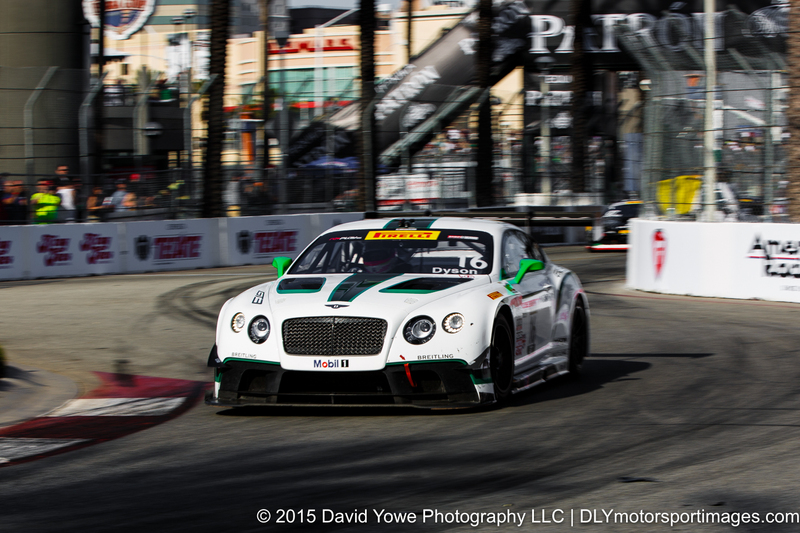 Second place went to Chris Dyson in the #16 Bentley Team Dyson Racing Bentley Continental GT3. 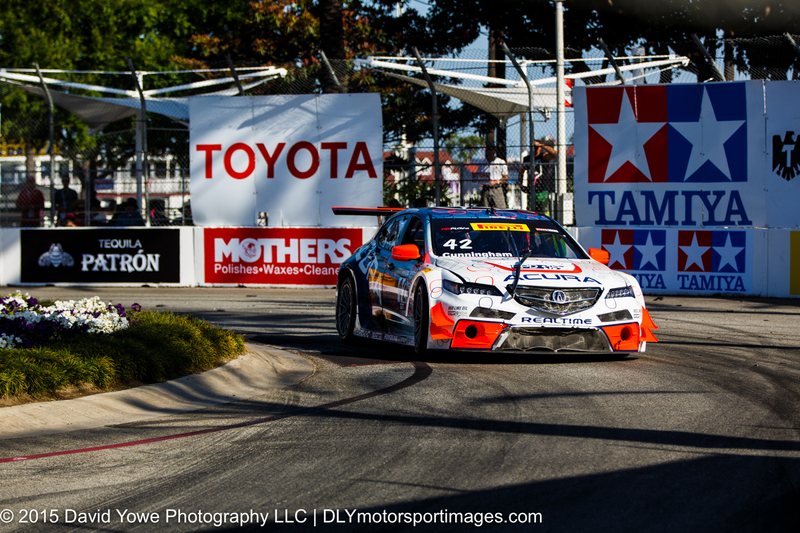 Around Turn 3 with Ryan Eversley in the #43 RealTime Racing Acura TLX-GT. Front-end damage on the #42 RealTime Racing Acura TLX-GT driven by Peter Cunningham around Turn 3. 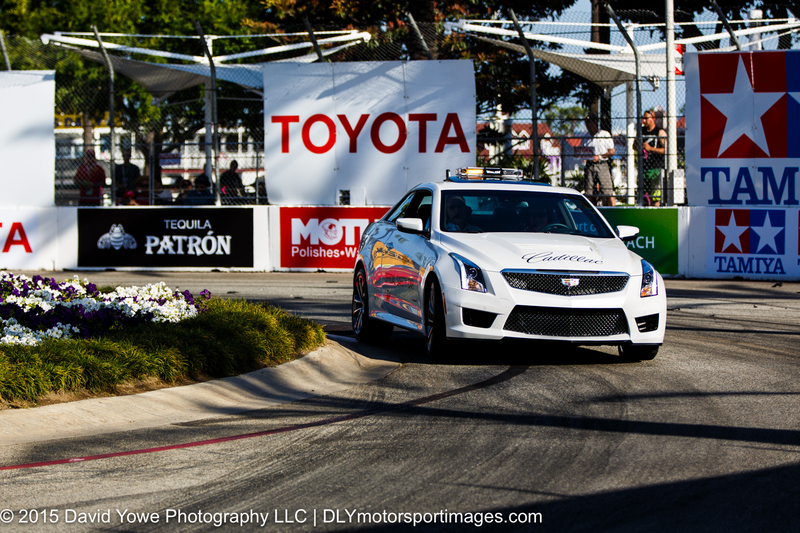 The safety car made a few appearances throughout the race. 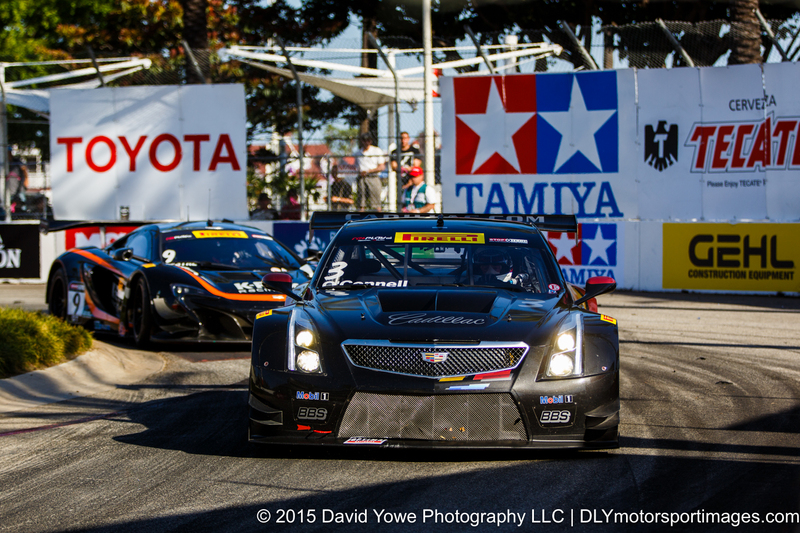 Johnny O’Connell in the #3 Cadillac Racing Cadillac ATS-VR GT3 leading a K-PAX McClaren around Turn 3. On my way to the podium took some shots of the cars speeding down the front straight during the closing laps of the race. 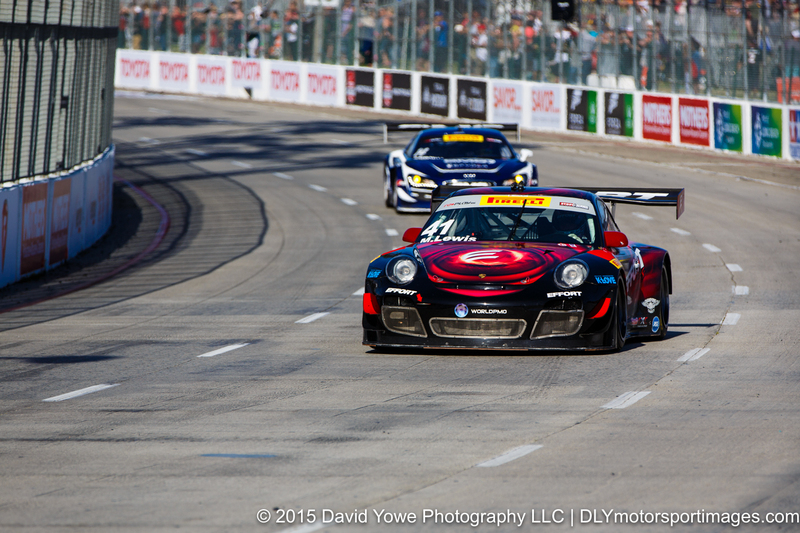 GTA winner Michael Lewis in the #41 EFFORT Racing Porsche 911 GT3R. Race re-start during the closing laps of the race. 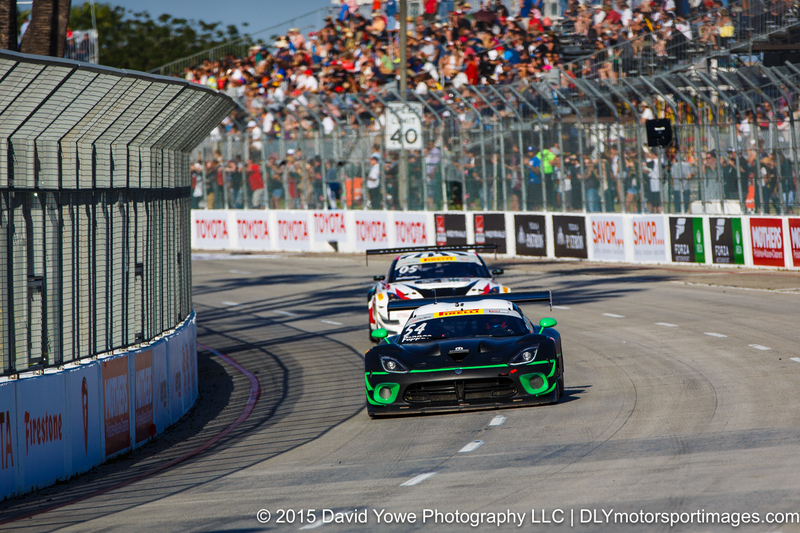 Tim Pappas in the #54 Black Swan Racing Dodge Viper GT3R. 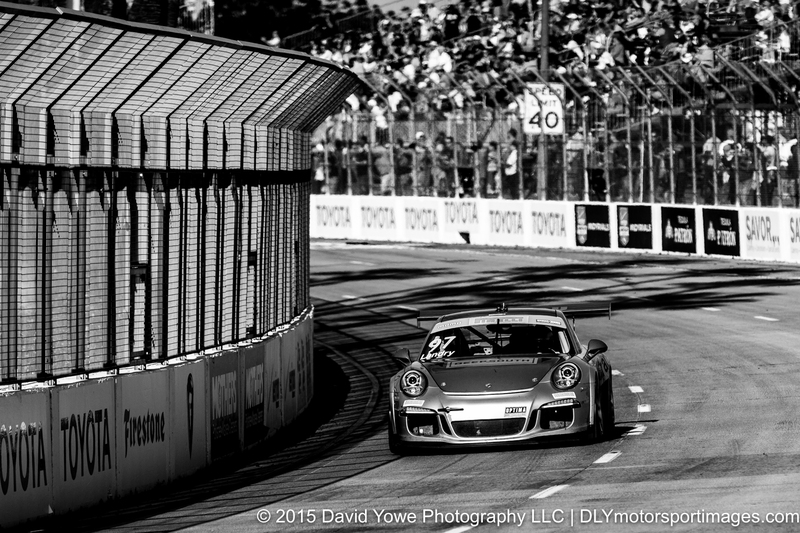 GT Cup winner Mitch Landry in the #97 Landry Racing Porsche 991 GT3 Cup. 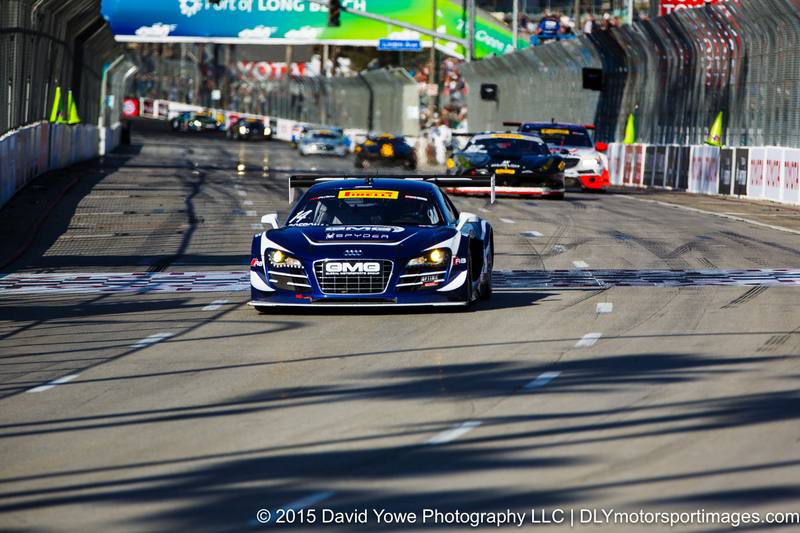 James Sofronas in the #14 Global Motorsports Group Audi R8 LMS Ultra. 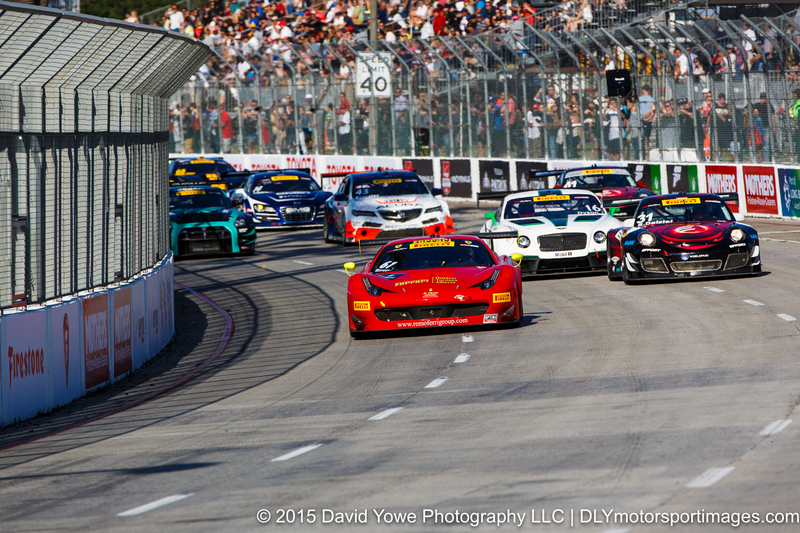 Over the finish line with Henrique Cisneros in the #30 NGT Motorsport Ferrari 458. 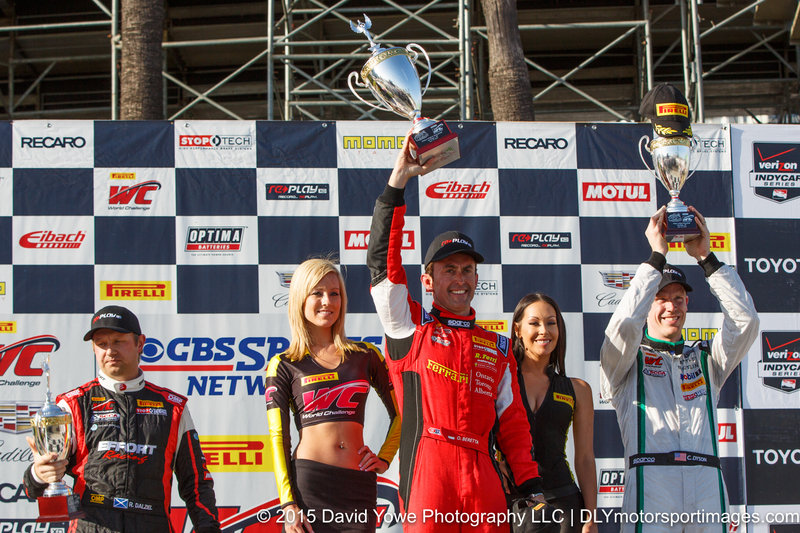 GT winners podium with Olivier Beretta (first, center), Chris Dyson (second, right), and Ryan Dalziel (third, left). 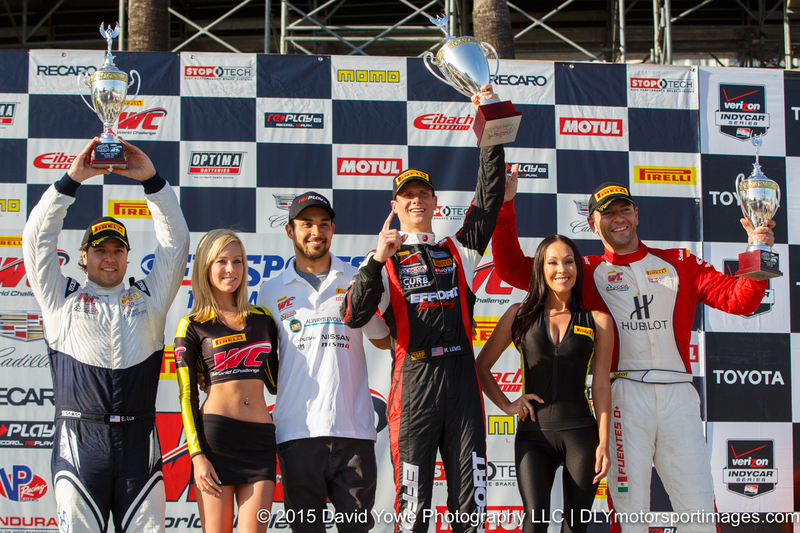 GTA winners podium with Michael Lewis (first, center), Martin Fuentes (second, right), and Eric Lux (third, left). 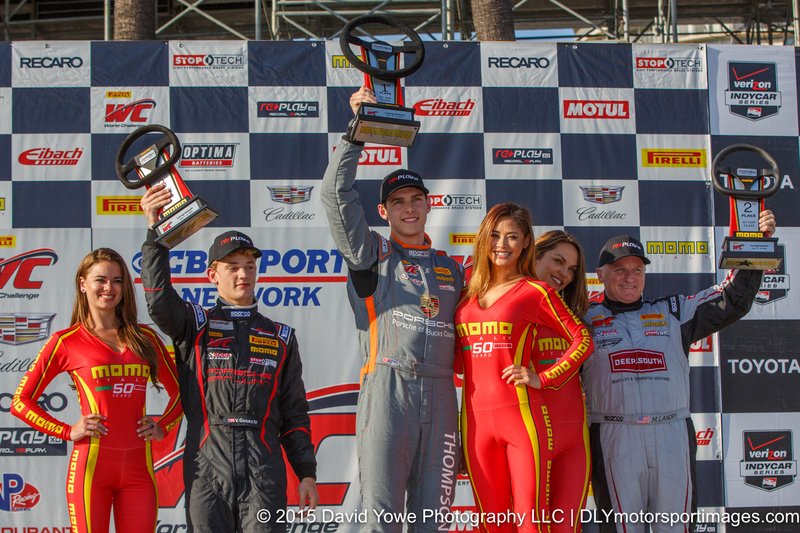 GT Cup winners podium with Colin Thompson (first, center), Mitch Landry (second, right), and Victor Gomez (third, left). Great work as always David.